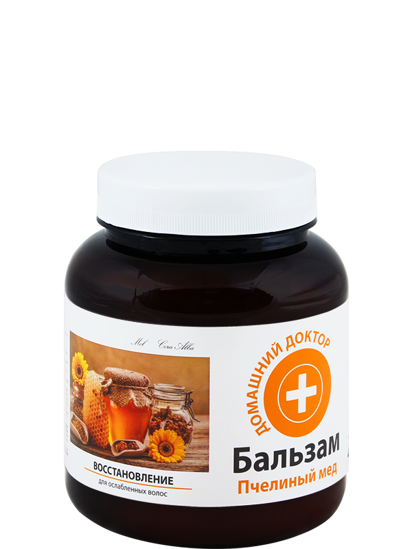 Balm "Home doctor" 480 ml honey,restoration to damaged hair - Russian Food Online Shop "Babushka"
Balm refreshes the structure of hair, gives them strength and protects from external influences. Honey makes the hair elastic and strong, nourishes and smooths them easier combing. Special blend of flax, castor oil and oil extract of burdock stimulates the growth of hair, makes them smooth.